This is our advanced teacher training where we spend six months immersed in learning how to live the yoga. 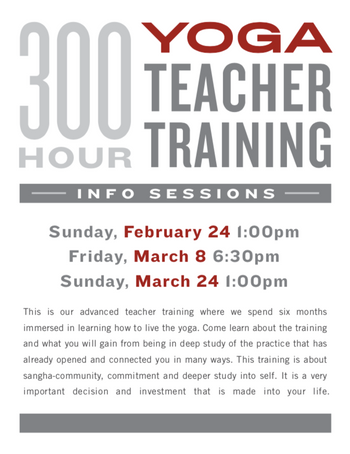 Come learn about the training and what you will gain from being in deep study of the practice that has already opened and connected you in many ways. This training is about sangha-community, commitment and deeper study into self. It is a very important decision and investment that is made into your life. Come and Learn all about it.